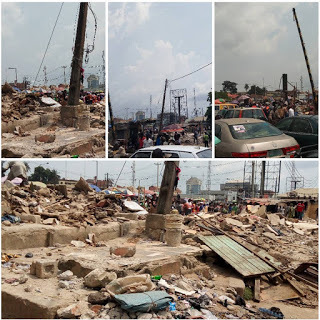 An IG user has shared photos from Yaba market which he says was demolished this morning. 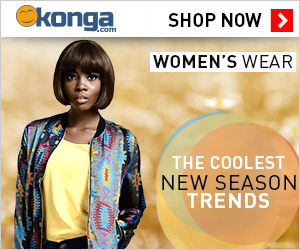 Oh Yaba Market! 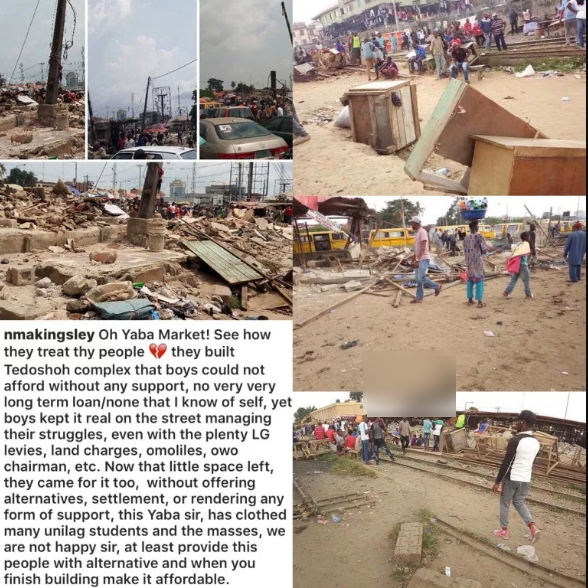 See how they treat thy people they built Tedoshoh complex that boys could not afford without any support, no very very long term loan/none that I know of self, yet boys kept it real on the street managing their struggles, even with the plenty LG levies, land charges, omoliles, owo chairman, etc.